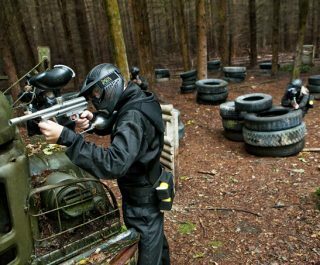 Conveniently located in lush woodland in Ratby, the Delta Force Leicester Paintball Centre is the ultimate destination for avid paintball fans traveling from Leicester and Loughborough. 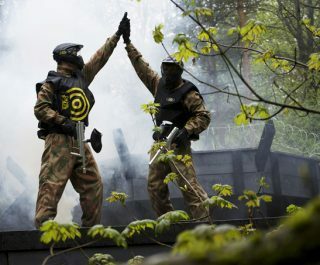 The brand new Leicester Paintball Centre features a selection of themed game zones that will have you and your comrades ducking and diving in search of victory as you take on Viet Cong Village. 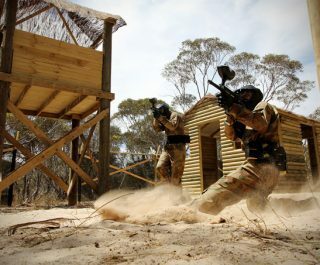 You’ll need to combine stealth, speed and skill to infiltrate enemy territory in Command Post. 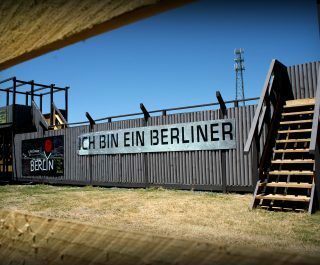 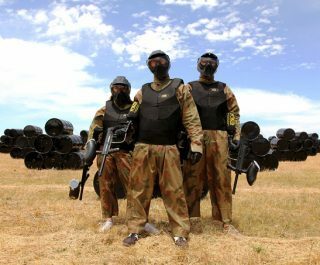 Armed with a semi-automatic paintball gun and decked out in the latest paintball gear, you and your teammates will be set for a full day adventure whether it’s for a birthday party, stag or hen celebration or a corporate team building event. 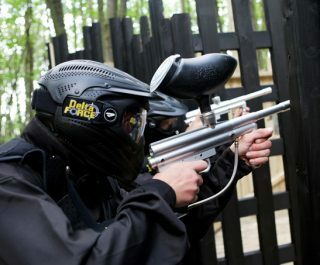 Book your day out at the Leicester Paintball Centre now by visiting the paintball booking page or calling our events team 24 hours a day, 7 days a week on 0203 869 9301.